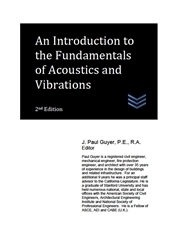 Introductory technical guidance for professional engineers and construction managers interested in noise and vibration control in buildings. 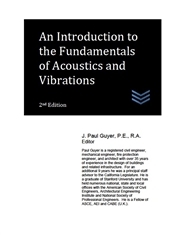 Introductory technical guidance for professional engineers and construction managers interested in noise and vibration control in buildings. Here is what is discussed: 1. INTRODUCTION 2. DECIBELS 3. SOUND PRESSURE LEVEL 4. SOUND POWER LEVEL 5. SOUND INTENSITY LEVEL 6. VIBRATION LEVELS 7. FREQUENCY 8. TEMPORAL VARIATIONS 9. SPEED OF SOUND AND WAVELENGTH 10. LOUDNESS 11. VIBRATION TRANSMISSIBILITY 12. VIBRATION ISOLATION EFFECTIVENESS.